Take the mystery out of pearl knotting! Learn one of the oldest beading skills. Both traditional and modern techniques are covered. Explore multiple finishing options and fun new ways to incorporate this ancient technique into modern jewelry. 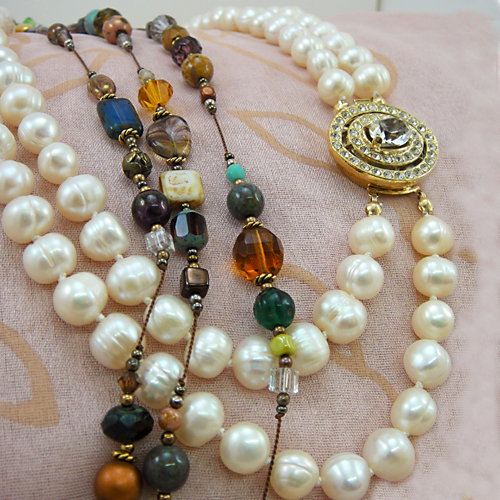 We will have a variety of real pearls, and a collection of lovely designer clasps for you to choose from. 1 16” strand of freshwater pearls and one designer clasp included. All Skill levels are welcome. Your seat in the class is secured when the class is paid for.